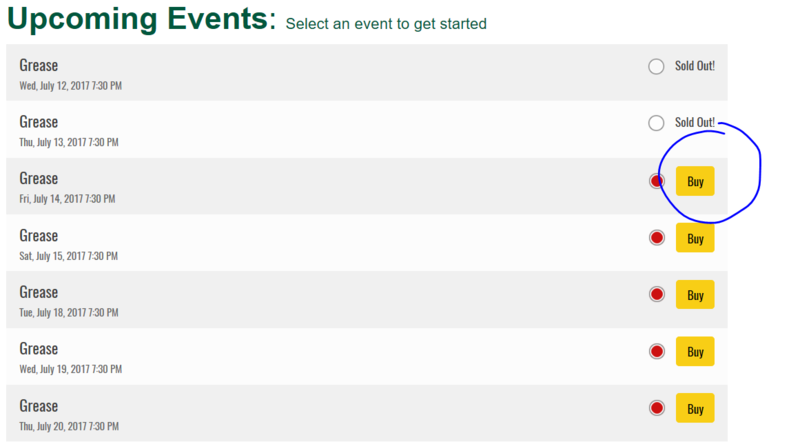 Step Two: Scroll down to "Upcoming Events" to select your desired show and date. Step Three: The colored circles indicate seat availability for each show. If a show is Sold Out, call (906)-227-7625 to be placed on our waitlist for rush seating. 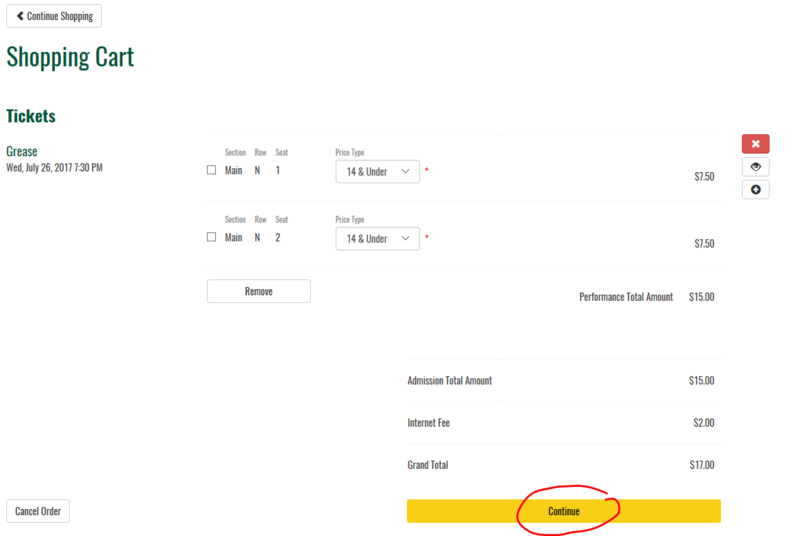 Step Four: Choose a show by clicking the yellow "Buy" button. 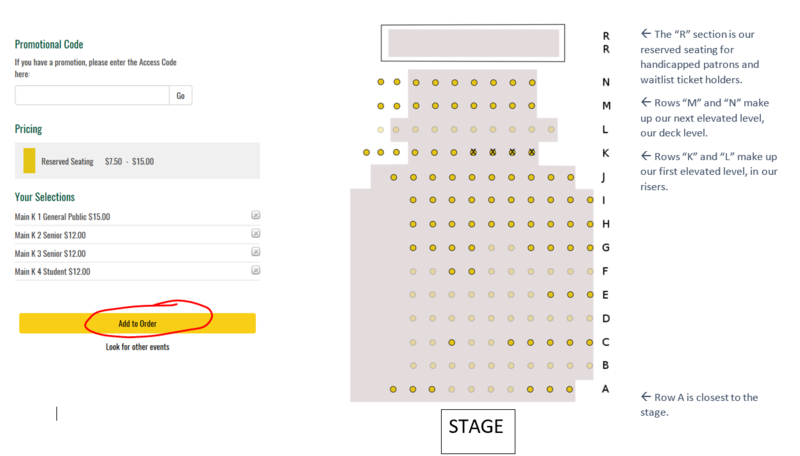 Step Five: Choose your seat(s) by clicking on the yellow dots and selecting the type of ticket. Step Six: After selecting your seats they will appear under "Your Selections" on the right-hand side. Click the "Add to Order" button when you are finished selecting your seats. Step Seven: Type in the verification code and click "Continue". This code is different for each person who orders a ticket. Step Eight: Review your order. 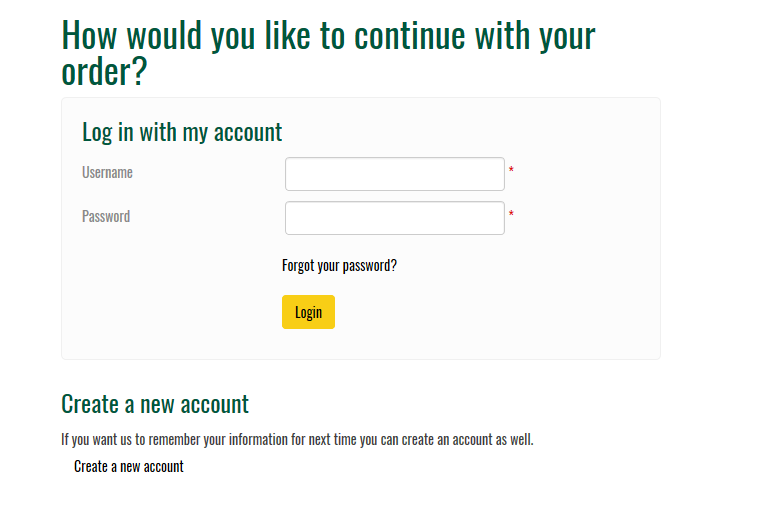 Step Nine: You will need an NMU account to process payment. Login if you already have one or create a new account. Step Ten:​ There are three ways to obtain the tickets, but "Will Call" is the easiest. We will hold your tickets under your name for you to pick up at LST the night of the show at our concession stand. Once you've selected your Delivery Method, press "Continue." Step Eleven:​ Check that your Contact Information is correct and then enter your Payment Information. Click on the yellow "Buy" button when finished. 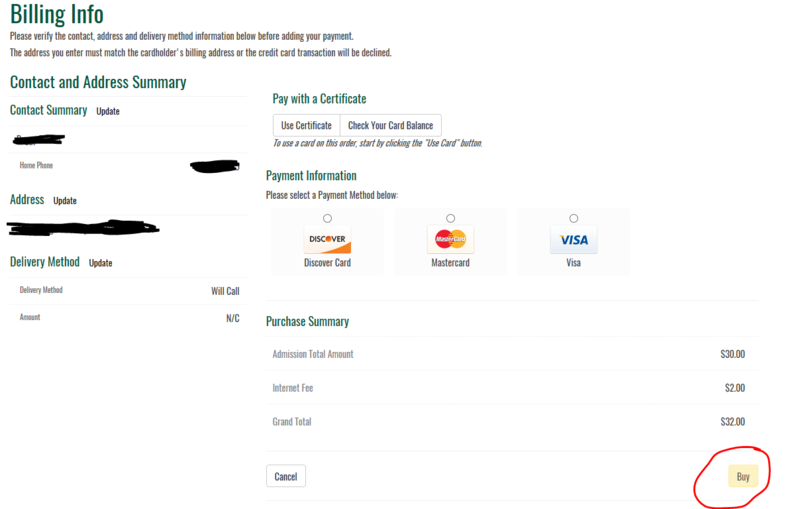 Do not press this button multiple times, as it may cause your payment to be processed multiple times. 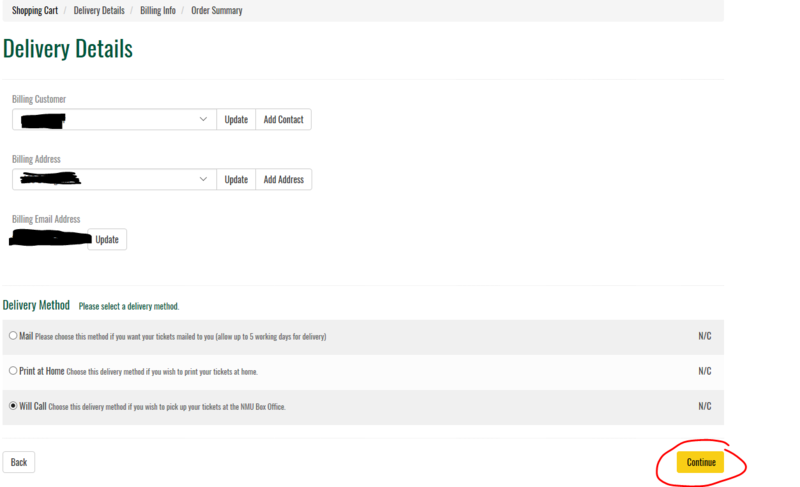 On the next page you will be able to print a Confirmation slip for your records. Enjoy the show!